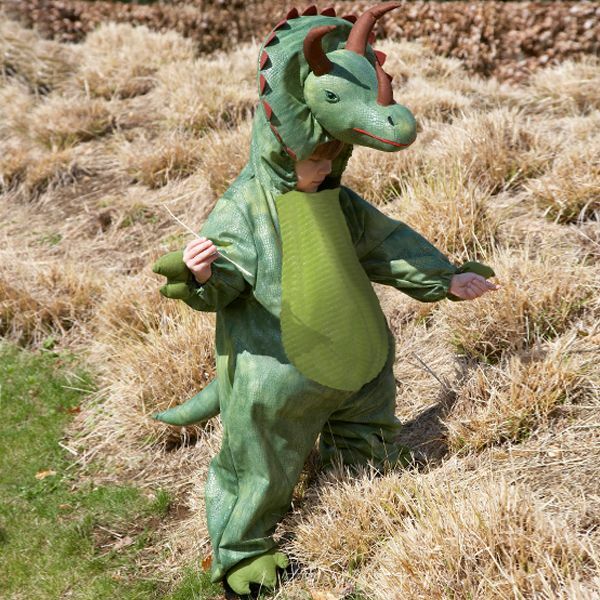 Plush Dinosaur costume with a big soft tummy and a feature hood with horns and spikes. Complete with a tail and fake (soft) claws. 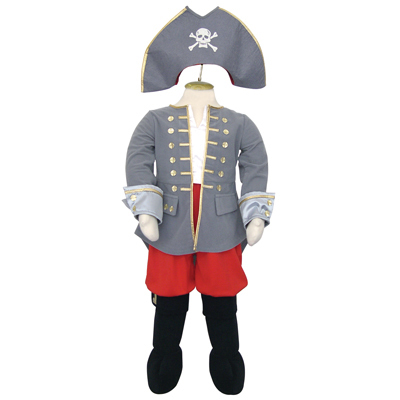 The costume, which fastens at the side of the chest with Velcro, is in a dark green scale-effect with a slightly padded, light-green tummy and a padded tail on the back of the costume. The arms and legs have elasticated cuffs and ankles, with padded, soft 'claws' at the end! 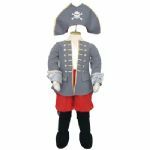 Perfect for Book Week, Halloween, Fancy Dress Parties, School Plays or Concerts or Just for Children’s Role Play.